I will have a few pieces published in the upcoming Spectrum 21 annual, including one featured on the table of contents page. Another nice surprise! INPRNT.com has another shipping sale on right now, they are offering FREE (worthy of all-caps) worldwide shipping this weekend (weekend of June 13, 2014). If you are from anywhere outside the US, you’ll understand why this is such a big deal. 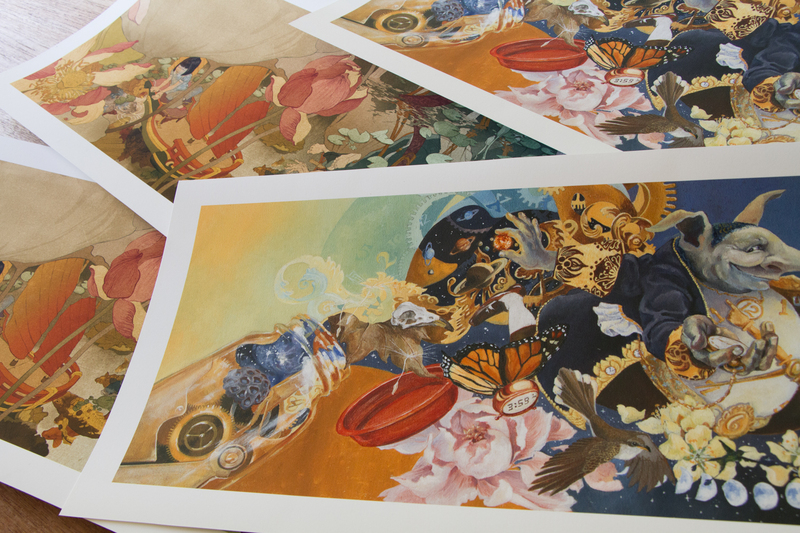 All prints are gallery-quality giclée art prints on 100% cotton rag archival paper, printed with archival inks. Each art print features a minimum one-inch border. Prints are unframed and unmatted. I’ve seen the prints myself and the print quality is really excellent. Large prints arrive in a mailing tube, small prints are in a flat, cardboard envelope. Large prints require some flattening when they are unpacked – carefully unroll them and put them under a few heavy books for a day or so. 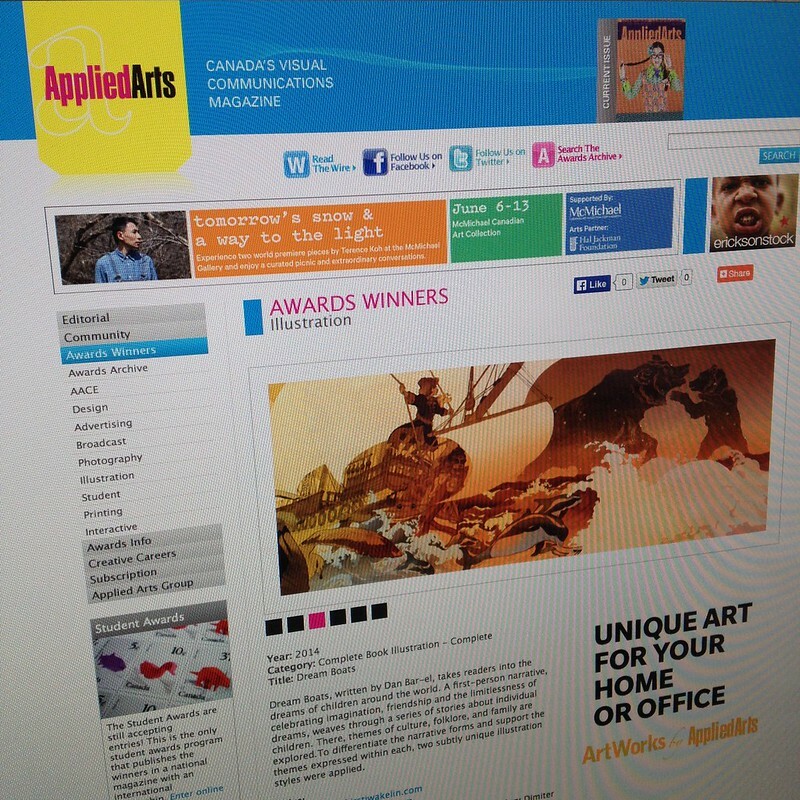 A little bit of very late news here – some Dream Boats illustrations were included in the 2014 Applied Arts Photography and Illustration Awards annual in May, 2014. 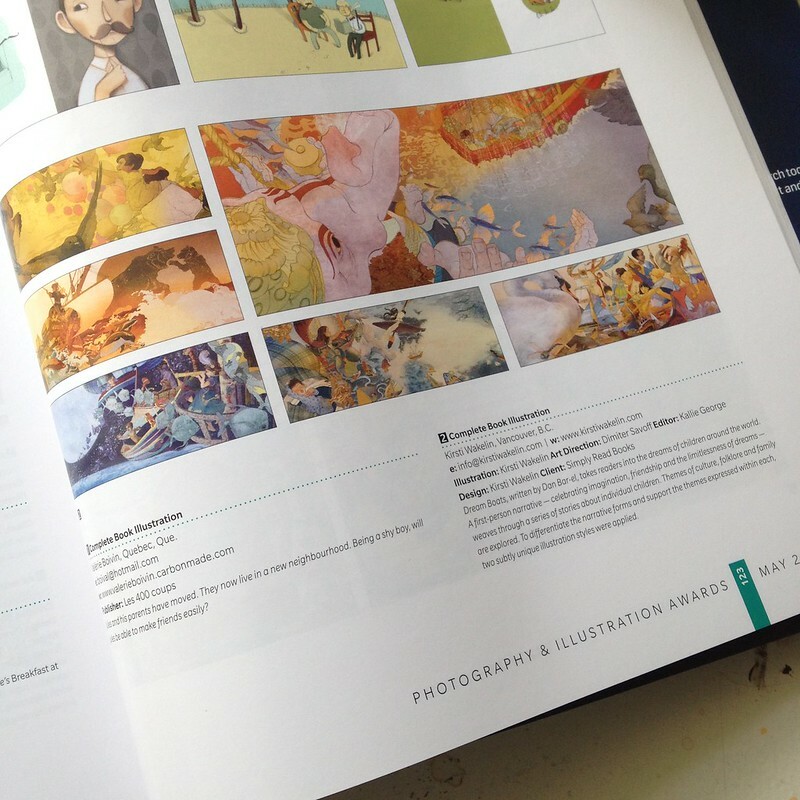 Six illustrations were included in the annual, and they are also on view on the Applied Arts website. Also, Dream Boats was included in this very nice list on the Reading Rainbow blog: 15 First Picture-Book Gift Ideas for Children’s Book Week , written by Minh Le. (If you haven’t heard already, Reading Rainbow has a Kickstarter campaign on the go right now). Reading Rainbow was a big thing on TV when I was a kid. But growing up in a TV-less house, it wasn’t a large part of my childhood (but books were, so it’s all good). However, the kids across the street had a TV so I did get tiny doses of it now and again, the result being that way back there in my brain is a little drawer containing the theme song, and hearing it now does stir up a tiny bit of nostalgia; suddenly I’m 7 again, right back there in that playroom littered with the neighbour-kids’ He-Man action figures, watching TV while eating raw hotdog wieners wrapped in kraft cheese slices.